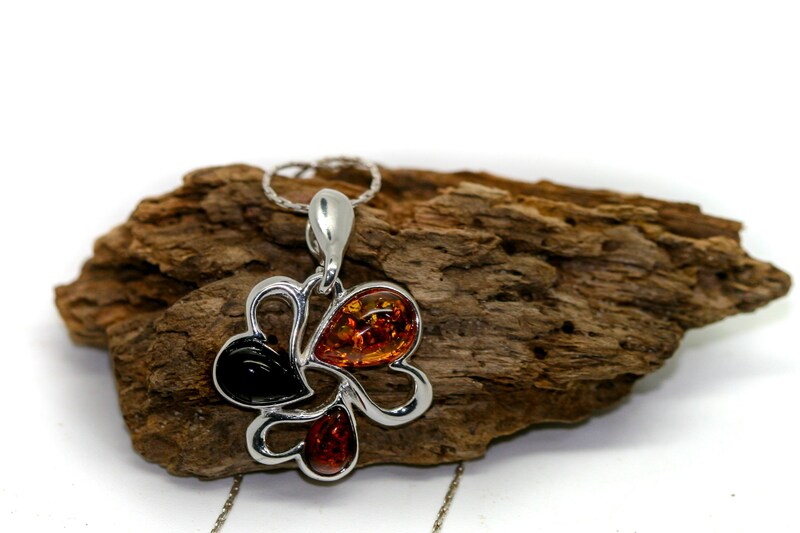 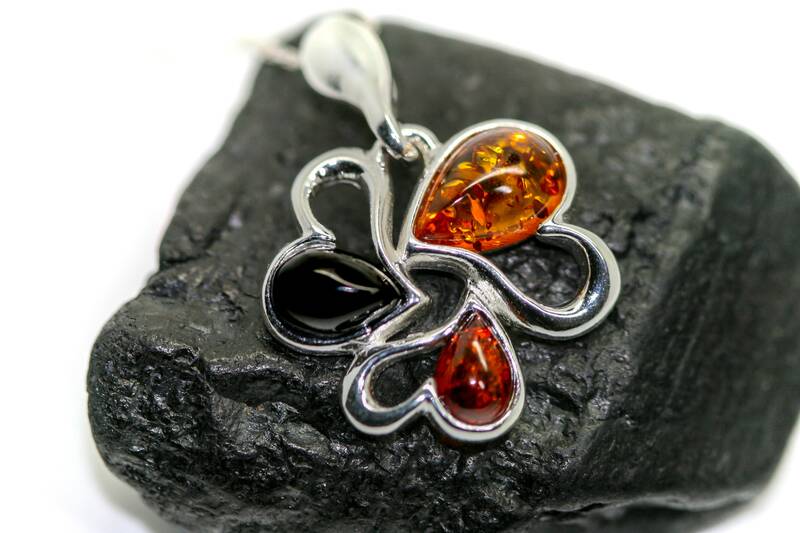 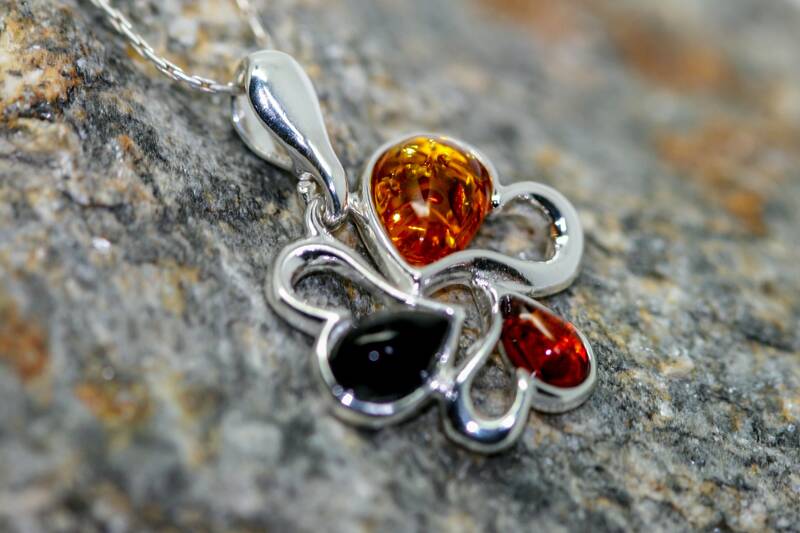 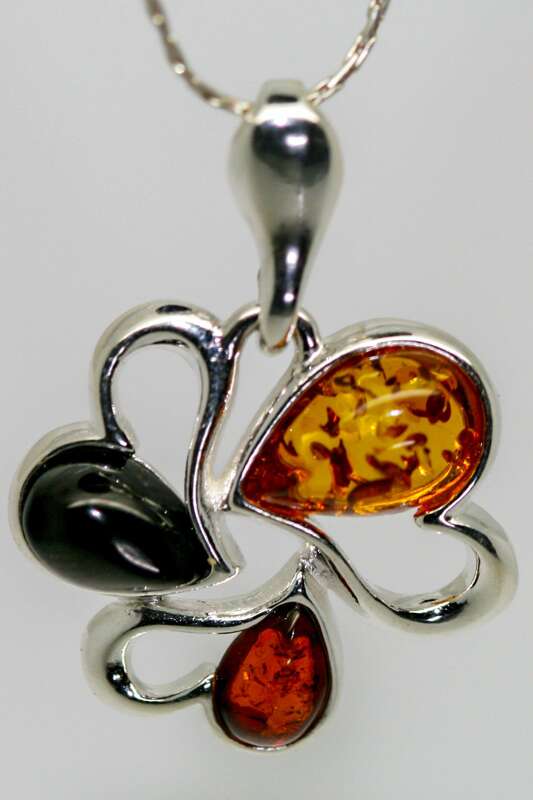 We are happy to present this lovely cognac Baltic amber and Whitby Jet fitted in sterling silver setting. 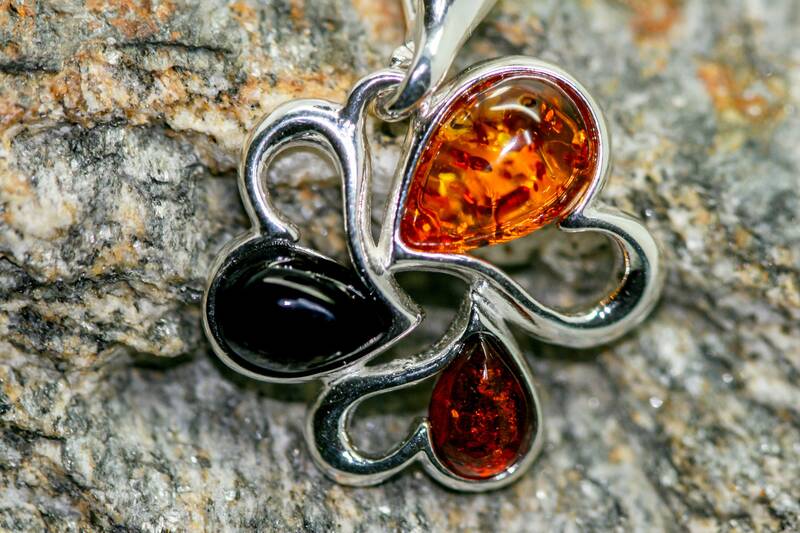 Three hearts connected forever !!! 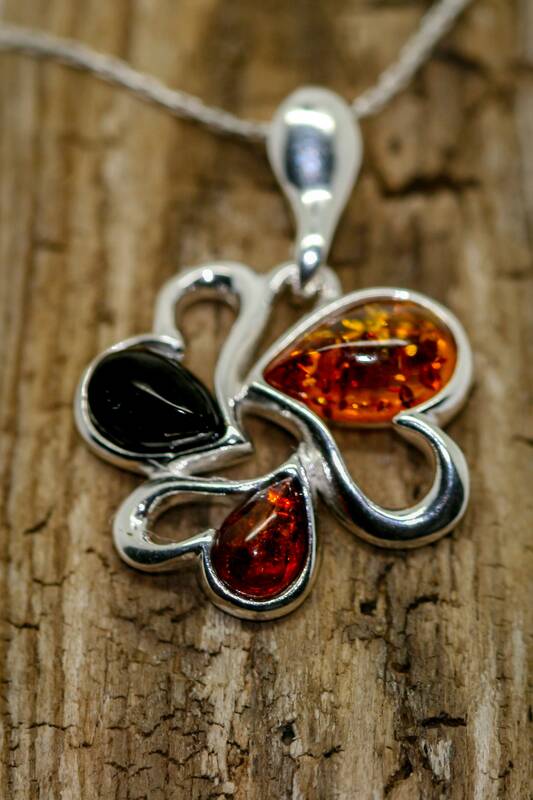 This beautiful delicate design says everything what you want to say for Valentines day. 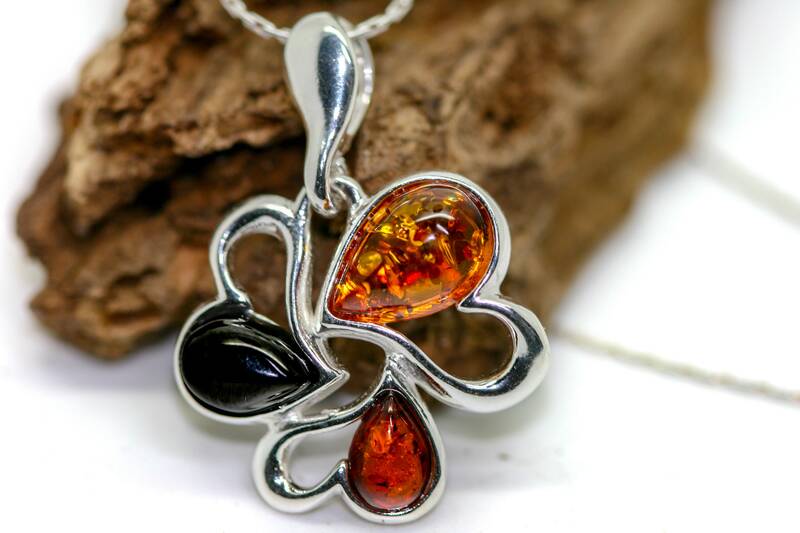 Size of the design: 23 mm length, 16 mm width. 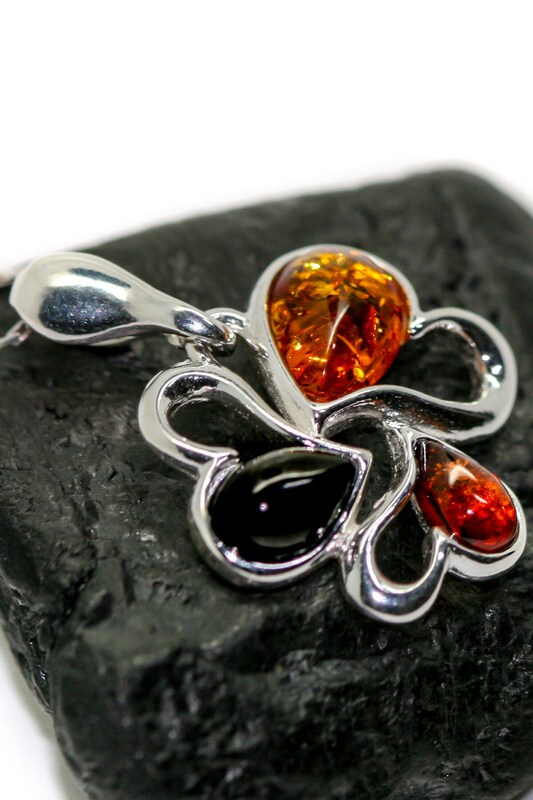 Perfectly polished cognac Baltic amber and Whitby Jet set in 925 sterling silver setting .